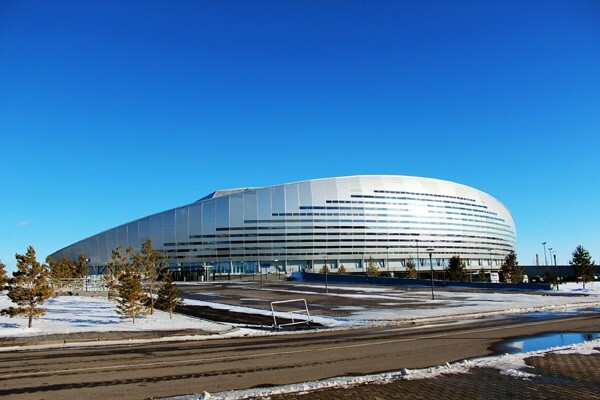 Hosting of 30 000 spectators, The Stadium was designed with taken into consideration of severe climate of Astana; it has a sliding, opening and closing roof system. 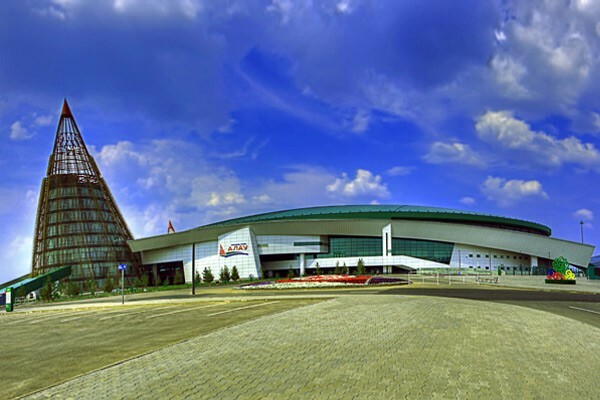 The stadium is used as a multi-functional entertainment complex for different types of sports and gathering purposes. It is mainly planned as a soccer field that fits the FIFA and UEFA criteria. The stadium, designed on an elliptic form, is constructed on a 232 485 square meters (330m x 704.5m) rectangular site. The design introduced innovative solutions adopting high technology principles for operational management and interaction with the environment; especially with harsh climatic conditions of the geography. In 2011, The Project, designed by HOK, Bureau Happold and Tabanlıoğlu companies won RIBA award (Royal Institute of British Architects) and was called “The best social facility” project within the territory of Asia and Pacific Ocean region.